Diana Ross is a legendary American singer, songwriter, record producer and actress. Ross is famous for being the lead singer of the popular 1960-70’s three-girl vocal group, The Supremes. You will find here most of the essential facts about phenomenal Diana. Diana Ernestine Earl Ross was born on March 26, 1944, in Detroit Michigan where she was also raised. Diana is the second child of her parents: her mum, Ernestine and dad, Fred Ross Sr. who died in November 2007. She was originally christened “Diane” but a typo error on her birth certificate where the name was spelt “Diana” subsequently compelled her to go by that. Her family members and close friends, however, still refer to her as Diane. Diana initially wanted to become a fashion designer and thus, enrolled in a four-year program at Cass Technical High School where she learned different fashion-related skills from sewing to modelling and cosmetology. Although she later turned a singer, Ross’ fashion skills came in handy at the start of her musical career as she became responsible for styling members of her vocal group. Diana Ross is undoubtedly a living music legend that has affected millions of people from different generations. Her great success in the music field earned her the Presidential Medal of Freedom in November 2016, from then President Barack Obama. She was also honoured with the Lifetime Achievement Award in November 2017 at the American Music Awards. Beyond those, she could brag about receiving BET and Grammy’s Lifetime Achievement Awards. Diana Ross inspired the careers of many popular singers we have today such as Jennifer Lopez, Taylor Swift, Janet Jackson, Beyoncé, Leona Lewis, Ashley Tisdale, among others. The American soul singer and actress has sold over 100 million records worldwide and holds a Guinness World Record for the most successful female music artists in history thanks to her incredible success within America and abroad. Ross began singing in her teenage years joining the girl group the Primettes, a female version of the male group the Primes. Originally a quartet, the group was reduced to a trio of Mary Wilson, Florence Ballard and Ross. The group later changed its name to – The Supremes and in 1960, signed a record deal with Motown Records. The Supremes enjoyed rapid and unprecedented success throughout the 1960s, beginning with the release of the single “When The Lovelight Starts Shining Through His Eyes”. Their single “Where Did Our Love Go” released in 1961 became their first number 1 hit. This was followed by 5 consecutive number 1 hits which also charted in the UK, making The Supremes the first American group to achieve the feat. Throughout their 10 decades as a group, The Supremes spawned 12 number 1 hits. As a lead vocalist with The Supremes, Diana was well prepared for a solo career which she launched in 1969. Her self-titled debut solo album spawned hit singles like “Reach Out and Touch (Somebody’s Hand)” and “Ain’t No Mountain High Enough”. The later peaked atop the Hot 100 and RnB charts to become her first solo number 1 hit. Diana’s first solo album sold over 500,000 copies, receiving gold certification. Her subsequent albums “Everything Is Everything” (1970) and “Surrender” (1971) sold a combined 700,000 copies. Ross branched into acting in 1971, making her debut in “Lady Sings the Blues”. She also recorded a soundtrack for the movie which debuted atop the Billboard 200 and sold 2 million units. Although the movie was met with negative reviews, Diana earned an Academy Award nomination for Best Actress. She continued to star in movies throughout the 70’s including “Mahogany” (1975) and “The Wiz” (1978). After moderately successful albums in the late 1970’s, Ross rose to the highest peak of her career in 1980 when she released her 10th studio album “Diana”. The album became the highest selling album of her career with over 9 million sales worldwide. It spawned hit singles like “Upside Down” and “It’s My Turn”. Her duet ballad “Endless Love” with Lionel Richie was also a massive success topping the Billboard Hot 100 and selling over 500,000 units. In 1981, Ross signed a record-breaking $20 million 7-year contract with RCA Records which at the time was the most lucrative music deal in history. Her first album with RCA “Why Do Fools Fall in Love” sold over 1 million copies. The highlights of her musical career in the 90’s include; Christmas Live album “Christmas in Vienna” which sold over 1 million copies. Her compilation album “One Woman: The Ultimate Collection” was extremely successful in the UK, selling over 1.2 million copies and receiving quadruple platinum certification from the BPI. In addition to album sales, Diana Ross, like other music artists also earns from touring extensively and playing shows. In 2012, she was paid $500,000 by billionaire Vladimir Doronin to perform in India for his 50th birthday. Doronin was at the time dating British model Naomi Campbell. In 2015 Diana Ross landed a mini-residency show at The Venetian in Las Vegas. She earned almost $2 million from 18 shows. The veteran songbird doesn’t seem to be showing signs of slowing as she continues to tour. Her release, “In the Name of Love Tour” which started in 2013 was resumed in 2016. Between 2014 and 2015 the tour grossed $16.5 million from 90 shows. Her compilation albums released in the new millennium also enjoyed moderate success. Ross also owns a production company, Anaid Productions, as well as some real estate investments which also form part of her revenue sources. Diana Ross estimated net worth stands at $250 million. 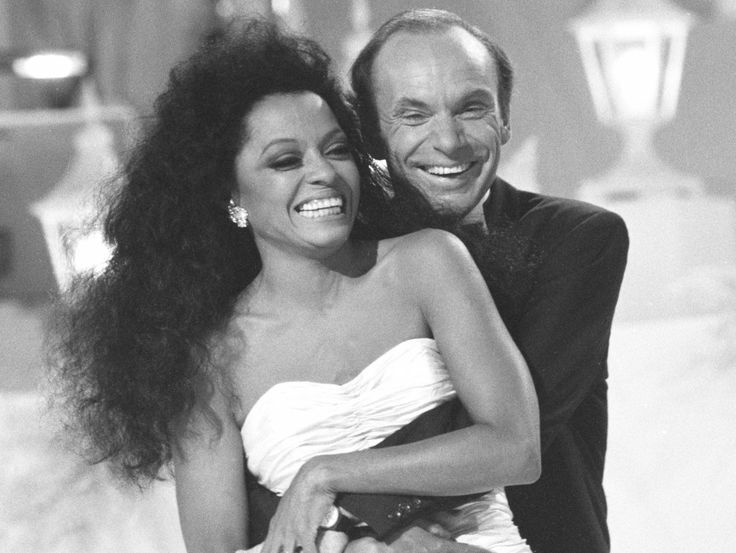 Diana Ross has had two husbands. She got married to her first husband, music producer and businessman Robert Ellis Silberstein in January 1971. As at the time of her wedding, Diana was already two months gone carrying the child of Berry Gordy, CEO of Motown Records with whom she had a long romantic relationship while singing under his record label. Howbeit, Diana Ross husband, Silberstein did not mind, as he raised Gordy’s child who was born seven months later as his own. Diana and Silberstein had two other daughters before they divorced in 1977. In 1986, Ross got married to Arne Naess Jr., a Norwegian shipping tycoon whom she met in 1985. Prior to their marriage, Naes already had three children for whom Ross became the stepmother. The couple had two children on their own but later divorced in 2000. After the separation, Arne Naess married Camilla Astrup but later died in 2004 in a mountaineering accident. In all, Diana Ross has five children, three daughters and two sons. They are Rhonda Suzanne Silberstein (1971), Tracee Joy Silberstein (1972), Chudney Lane Silberstein (1975), Ross Arne Naess Jr. (1987) and Evan Olav Naess (1988). Diana Ross first child and daughter, now Rhonda Ross Kendrick has been married to a musician, Rodney Kendrick since 1996. Rhonda was raised as Silberstein’s daughter but later, around the age of 13, came to know that her biological father is Berry Gordy. Before this time, she had only known Gordy as a family friend, calling him Uncle B.B. ; she is the seventh of his eight children. Just like her mum, Rhonda is a talented singer, songwriter, and an actress. She featured in her mum’s “In the Name of Love Tour” and currently has two albums of her own. She has a son, Raif-Henok Emmanuel with her husband. Now known as Tracee Ellis Ross, Diana’s second child/daughter and her first with Silberstein appears to be the most popular of all her children. Tracee who studied Theatre at Brown University, is an actress, comedian, television presenter and model. She is most popular for her current lead role on comedy TV series, Black-ish, for which she won a Golden Globe award in 2017. As a model, Tracee Ross has featured on the cover page of some magazines including Essence and Jet. She also starred in Tyler Perry‘s 2007 film, “Daddy’s Little Girls”. She is still unmarried. Chudney Lane Silberstein is Diana Ross third child and daughter, as well as her second and last with first husband Robert Silberstein. She now goes by the name Chudney Ross. Chudney studied at Georgetown University and is currently a TV producer most popular for Fashion News Live and the BET Awards. She’s been married to Joshua Faulkner since 2015 and they have a daughter together, Callaway Lane. Ross Arne Naess is Diana’s first son and fourth child. He is also her first child/son with second husband Arne Naess. Ross is married to Kimberly Ryan (since 2017), a lady he dated for close to a decade. Prior to their wedding, they had a son together, Leif and another one, Indigo on the way. Diana’s eldest son is a photographer, music producer and businessman. Unlike his mum and sisters who are showbiz personalities, Ross rather takes after his father’s adventurous lifestyle of mountain climbing. He has among other ventures, made it to Mount Everest’s lofty base camp. Diana Ross’ last child, Evan Olav Naess, known officially as Evan Ross is an actor, TV star and musician. He is Diana’s second and last child/son with Arne Naess. Evan is married to Ashlee Simpson (since 2014), and they have a daughter named Jagger together. The couple also has a son, Bronx whom Ashlee gave birth to in her earlier marriage to singer Pete Wentz. With her children now married and making kids, Diana Ross family boasts a number of grandchildren. Also somewhat counted as part of Diana Ross family are late Arne Naess’ three children, Katinka, Christoffer, and Leona Naess who have always maintained a cordial relationship with Diana. The bond still remained intact even after the divorce and their father’s subsequent death.